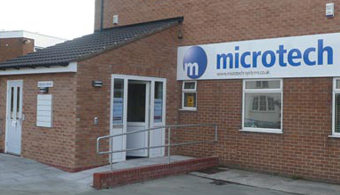 Microtech Computers & Peripherals Ltd are based in Anlaby, Kingston-upon-Hull and is in the ideal geographical location to service the IT requirements of	businesses located in Hull and the East Yorkshire area. Since its birth, the company has expanded to cover all aspects of IT support services and product ranges. We believe that our current portfolio of services and products can only be matched by organisations much larger than ourselves. We find however that unlike larger businesses, our size and structure allows us to maintain flexibility and a caring approach towards our customers' businesses. Unlike many of our competitors, we have survived since 1992 due to our excellent customer service record and our unique ability to adapt to the ever developing IT industry and most importantly, our customer's needs. We can provide companies of all sizes, small and large with professional IT support services and solutions at affordable prices. Smaller businesses will benefit from a "virtual" IT Support Desk for their staff to call upon whereas larger businesses, with perhaps their own IT support staff, will have the extra benefit of being able to call upon professional resources as and when required. "We look after your IT support, IT Maintenance and Network Service needs while you look after your business"
Copyright © 2009 Microtech Computers and Peripherals Ltd. All Rights Reserved.